Because they’re ADORABLE. Look, she made it! What kind of mom am I that I grabbed my camera instead of helping my screaming baby who’s stuck upside down in a broken screen? She made it by herself while I snapped photos. This isn’t cruel and unusual parenting, it’s allowing my kids to solve their own problems, right? This is good for her independence, right?? Raise your hand if you’ve ever tried Lebanese food? Syrian food? Anything Middle Eastern?? For some reason dishes from these regions haven’t taken off in recent years, the way that Thai and Indian food has, for example. But mark my words: I think Middle Eastern cuisine will become trendy and much easier to find over the next few decades. It is just so GOOD. Today’s recipe is Lebanese, and it’s from my friend Liz’s new cookbook, Food From Our Ancestors: The Ultimate Syrian Sunday Dinner. Liz blogs over at The Lemon Bowl, and I’ve been following her for a long time! She has so many great HEALTHY recipes. Everything is so fresh. Liz is Syrian, and she gathered up some of her family’s favorites and put them all together in an e-Cookbook. (That’s like a cookbook that you can access on a device, not an actual book.) You can buy it here for $3.99, or you can buy the ebook bundle here for $12.99, which includes 3 other cookbooks. Now about this recipe. 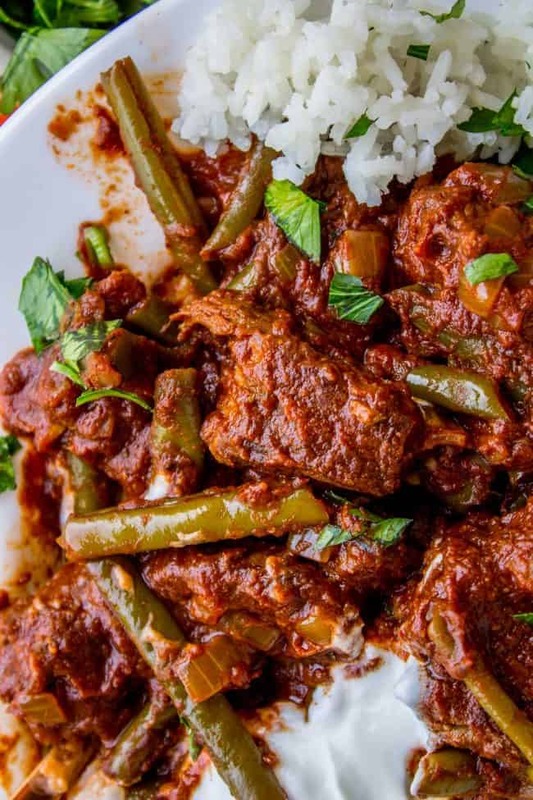 Have you ever tried my brother-in-law’s family’s recipe for Traditional Tejano Carne Guisada? It’s braised beef meant for tacos and it’s amazing. It’s a huge family favorite. 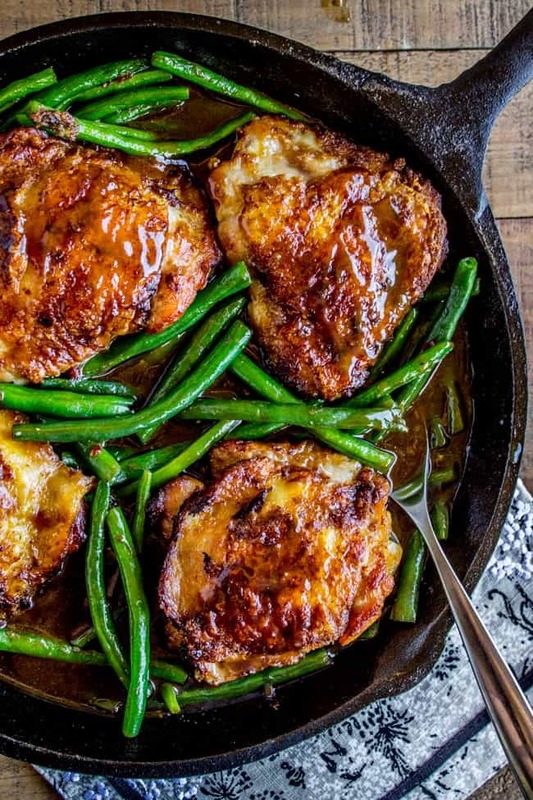 I was delighted when I read through Liz’s recipe to realize that hers is basically identical, it just uses different spices (Oh and adds green beans, of course). Brown the beef with onion, add spices and tomato sauce, cook on low for a few hours. The result is the most tender, melt-in-your-mouth, packed-with-flavor beef of your life. I love these prepped green beans they have in the produce section! The recipe calls for a full tablespoon of cinnamon, which sounds weird to us Americans. We take our cinnamon in swirly rolls with icing on top, thank you very much. But I’m here to tell you that we’ve underestimated poor cinnamon. It doesn’t have to be sweet; cinnamon has savory notes that we often ignore. There is no sugar in this recipe, and I promise, it doesn’t feel like you’re eating a Braised Beef Cinnamon Toast. It tastes deliciously earthy, warm, and aromatic. If you are reading this first thing in the morning, check out my Instagram stories to watch me make it! I tested both a stovetop and slow cooker version of this recipe. 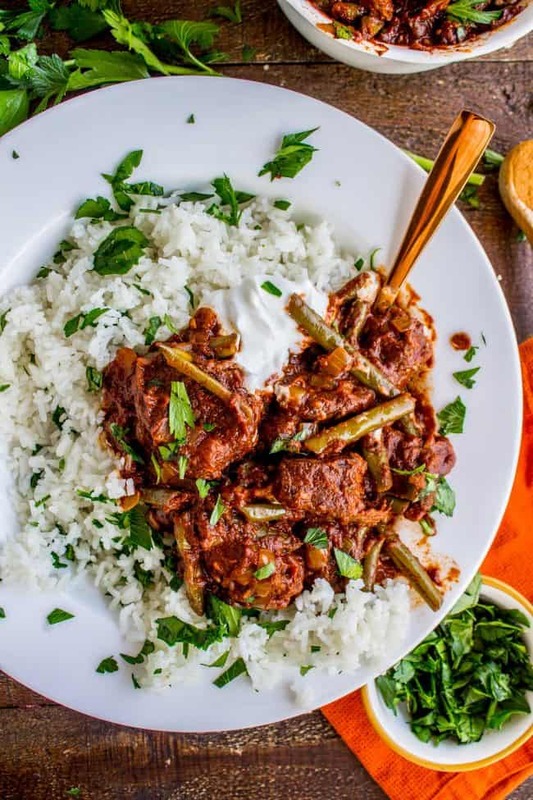 The slow cooker version would be perfect for Halloween night! Some stick-to-your-ribs type food so that you don’t eat as much candy? Maybe?? Heat a large stock pot (with a wide bottom) over medium-high heat. When it is hot, add clarified butter (or a mix of olive oil and butter will do). Spread the beef chunks out on a plate or cutting board. Sprinkle with a generous amount of salt and pepper (about 1 teaspoon+ salt). When the oil/butter is hot, add the beef. Separate each piece and make sure it is touching the bottom of the pan. You don't want the pieces to touch each other, ideally. Cook for about 2 minutes, then use tongs to flip each piece of beef. Brown the other side for 1-2 minutes, then remove the meat to a plate and set aside. Reduce the heat to medium. Add the chopped onions and saute until softened, about 4-5 minutes. Add the beef back to the pot. Add cinnamon, cumin, garlic, another 1/2 teaspoon of salt and a few more grinds of pepper. Cook for 1 minute. Add 32 ounces of tomato sauce and stir, scraping up browned bits. Turn the heat down to low or medium low. You want it to be at a slight simmer and have some movement, but not some much that you will cook off all the liquid. I usually put the lid on, tilted so that it can vent. Simmer for 2 hours, stirring every 1/2 hour or so. Adjust the heat setting as necessary. Add the green beans and stir. 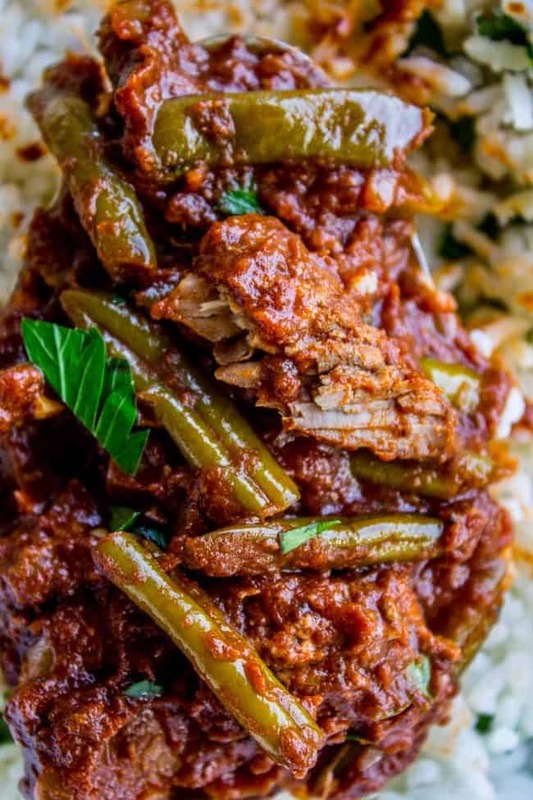 Continue simmering for half hour to 45 minutes, until the green beans are tender and the meat is falling apart. You should be able to use a wooden spoon to break a piece of meat in half. 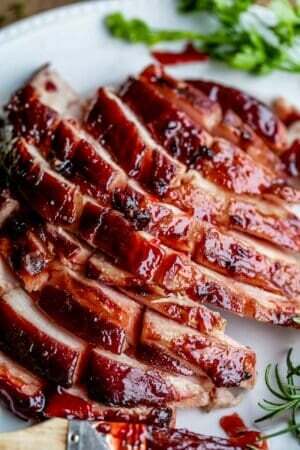 Serve with hot rice, and garnish with plain Greek yogurt and chopped parsley. Follow stovetop instructions through Step 6 (adding the spices and garlic). Add 24 ounces of tomato sauce (3 8-oz cans). Scrape up browned bits. Transfer to a slow cooker. Add the green beans and stir. Cook on high for 4 hours or on low for 6-7 hours. *I didn't have any, so I used 1 tablespoon olive oil and one tablespoon butter. 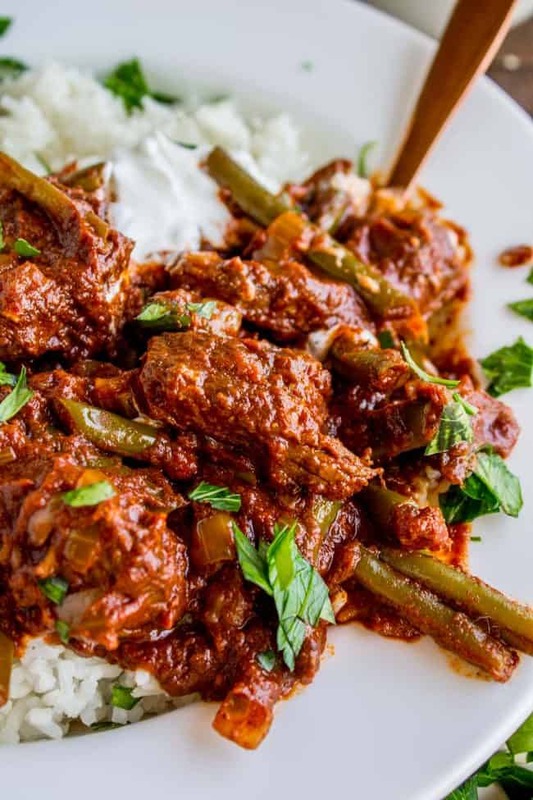 **I actually used the pre-cut stew meat they usually sell in the meat department at the grocery store. 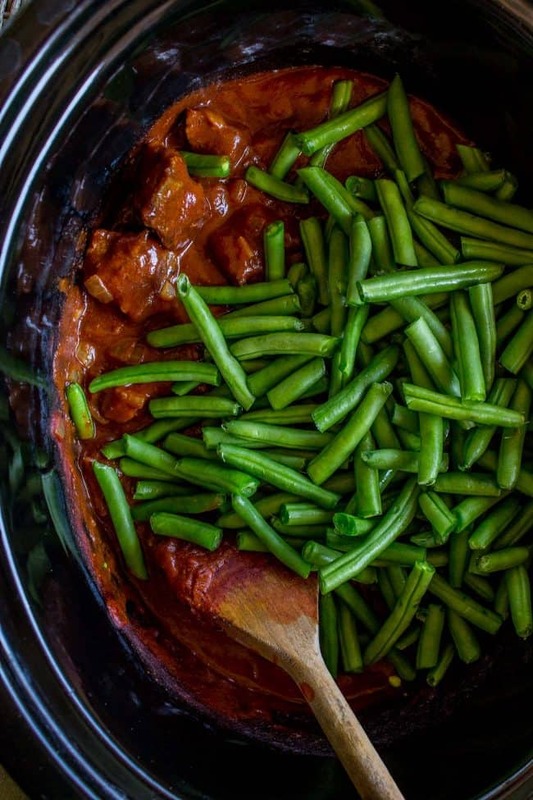 ***You can use frozen green beans! 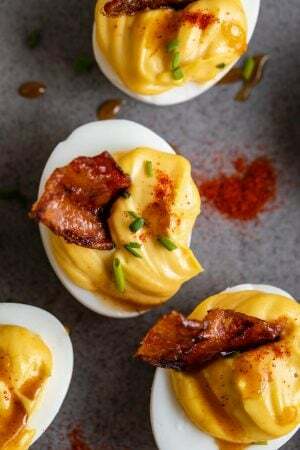 This recipe is adapted from Liz at the Lemon Bowl! It's in her new cookbook Food From Our Ancestors: The Ultimate Syrian Sunday Dinner. Here are some other dishes you are guaranteed to love! 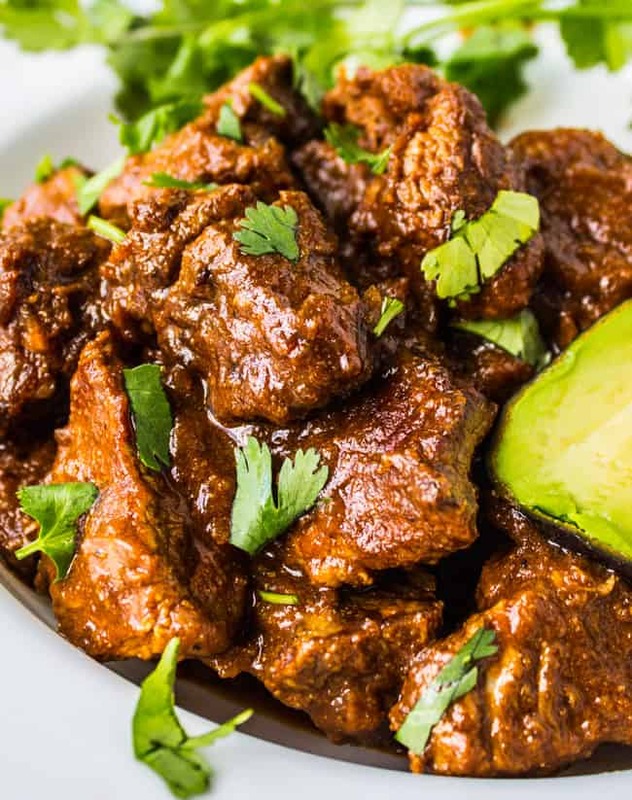 Traditional Tejano Carne Guisada (Braised Beef for Tacos) << this is a huge family favorite. It’s VERY similar to today’s recipe! 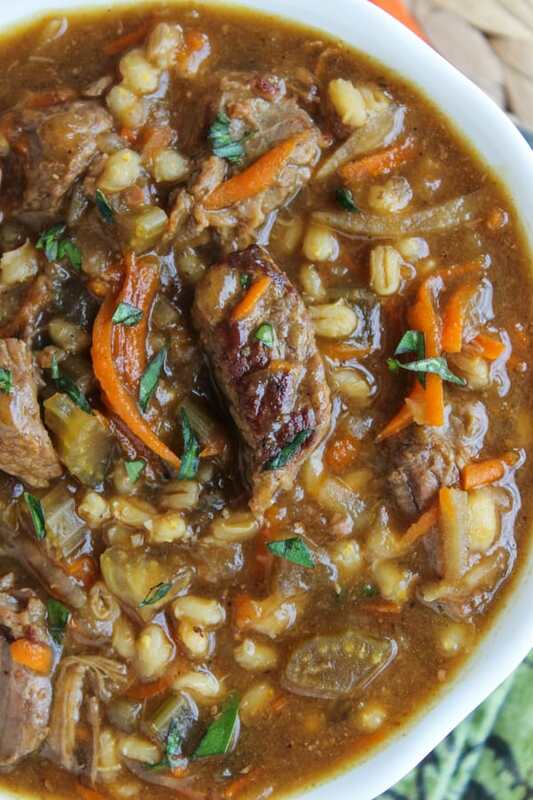 Beef Barley Soup << bring on the braised beef recipes. This one’s KILLER. More Lebanese Lubee recipes from other blogs! Dropping by to say thank you for sharing this recipe. We had a blast during our family dinner last Saturday. It was a nice change. Looking forward to more of your posts. OMG. This looks so delicious. Seriously! Can’t wait to try this recipe. 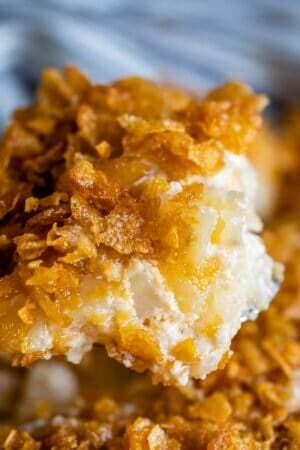 I stumbled upon this recipe (and your blog) on Pinterest and I can’t wait to try this recipe! 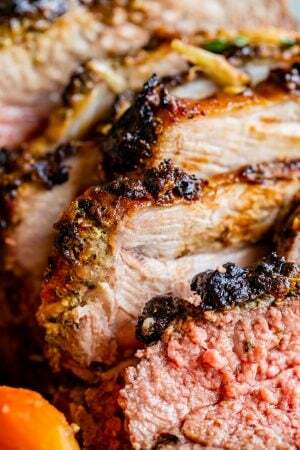 I love cinnamon in meat recipes -such a delicious pop of flavor. I’m looking forward to trying this and your other recipes! I’m so happy you found me Jackie! You will have to tell me the other cinnamon-meat combos you’ve tried and liked. I’m pretty excited about it all the possibilities! Thanks so much for commenting, and I hope you enjoy the recipe! Our favorite is pastitsio – sort of a greek version of lasagna. The recipe I use calls for ground lamb, but I always use ground beef. The meat is spiced with cinnamon and nutmeg, and the dish is topped with a nutmeg-spiced béchamel. Delicious and perfect for colder weather! i love the bechamel on top, sometimes i even use only traditional italian spices and make it instead of lasagna. oh man. Bechamel makes everything AMAZING! i ‘ve got to try this out! This looks amazing Karen, and I’m excited to try it! Do you suppose I could use lamb? I actually have a lot in my freezer and I absolutely love it! I bet it would be great. BTW, when you are going to write and e-book? It will save me a lot of time searching for recipes on your site! Amen, Kris, an ebook would be great! Thanks for the taste test, Karen- I can now swear on the family Bible that this tastes as good as it looks. Savory cinnamon rocks!